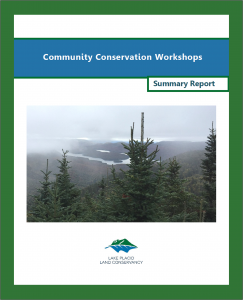 During the summer of 2016, LPLC hosted a series of community conservation workshops at venues within three of Lake Placid Land Conservancy’s four focus areas: Lake Placid, Saranac River Basin communities, and East Branch of the Ausable River communities. Our workshops gave us the opportunity to learn about the conservation values and interests of participants through discussions and mapping exercises and to present information related to the development of our conservation monitoring program. Lake Placid Community Conservation Workshop materials. 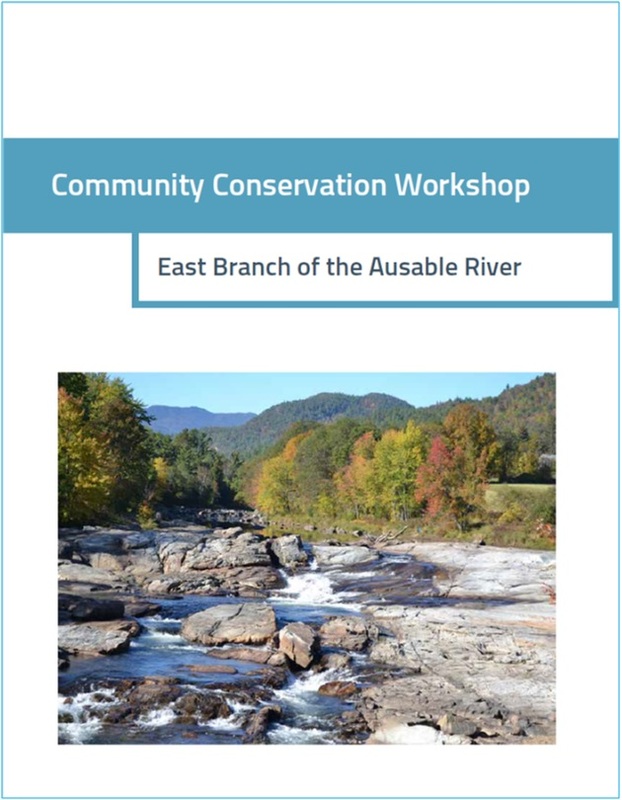 East Branch of the Ausable River Community Conservation Workshop materials. 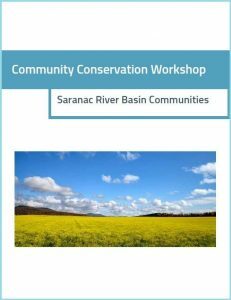 Saranac River Basin Community Conservation Workshop materials. In addition to discussing conservation values and interests in their communities, workshop participants identified conservation values important to their communities on GIS maps, such as specific habitat, water resources, agricultural and forest lands as well as open spaces. 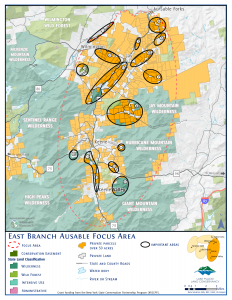 Adirondack Research compiled the data from both the conservation values discussions and the mapping exercises and created a report of the findings. The report is available in two formats: a Comprehensive Report and a Summary Report. The summary report includes maps (below) highlighting areas of conservation interest or value identified by participants at each workshop, as well as a map key with information explaining mapped areas of interest. The comprehensive version of the report includes information on methodologies as well as all data from the workshops, including answers to guided discussion questions, general themes of guided discussions, maps highlighting areas of conservation interest, map keys and survey results. The following maps are based on information collected at the workshops. They show areas of conservation interest identified by workshop participants for respective focus areas. For detailed explanations of these areas of interest, go to the ” Workshop Map Keys” in the “Findings” section of the Community Conservation Workshop reports (above). Click on the thumbnail images below for improved viewing of specific focus area maps. 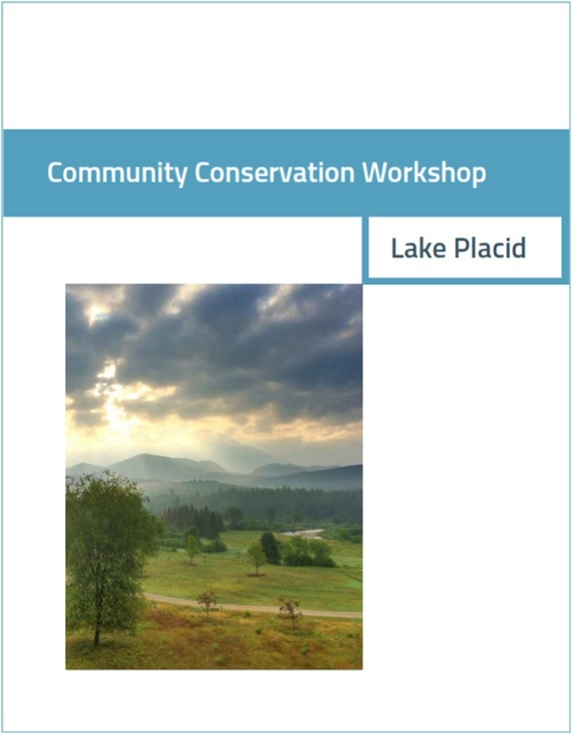 Lake Placid Community Conservation Workshop conservation areas of interest map. 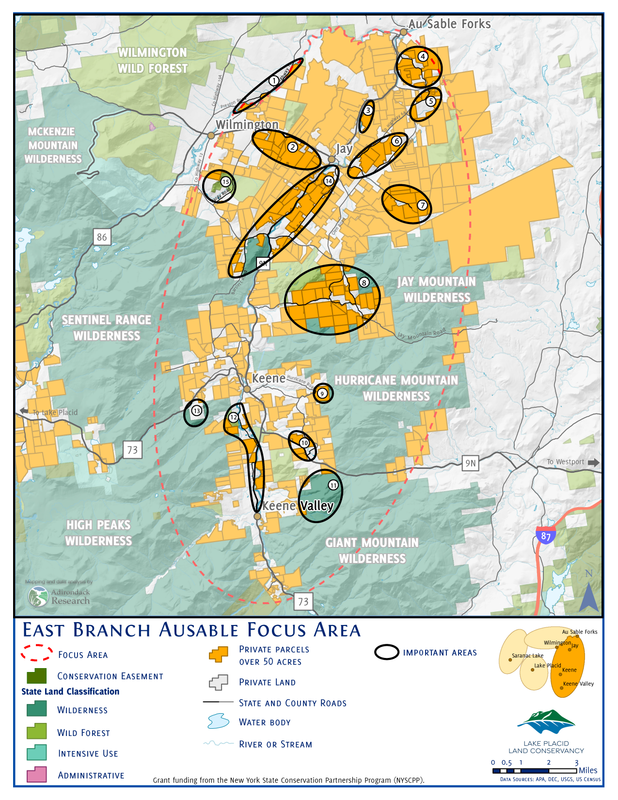 East Branch of the Ausable River Community Conservation Workshop conservation areas of interest map. 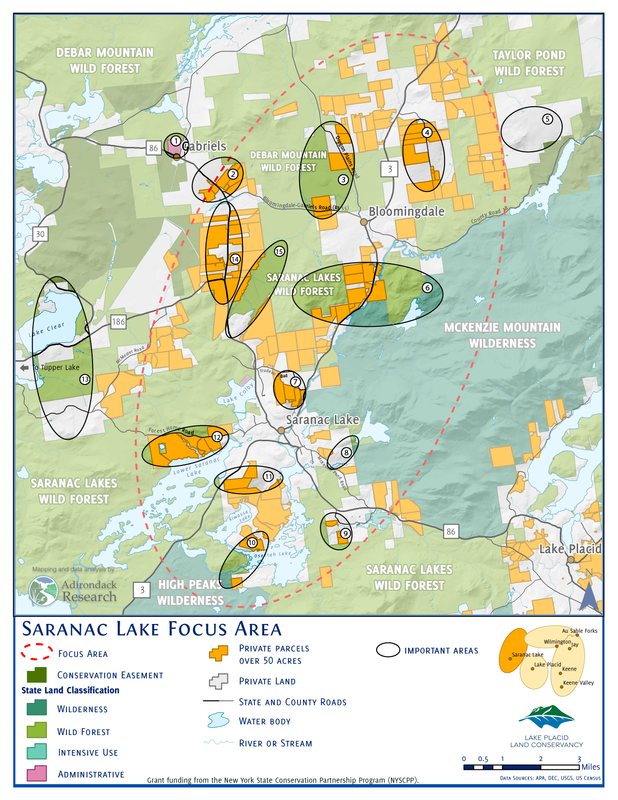 Saranac River Basin Community Conservation Workshop conservation areas of interest map.